Mr. Anup Jaimungalsingh (EMBD) and Mr Anthony Convery (Consultant on Quarries). Anthony Convery of Ireland is one of the world’s leading consultants on commercial quarries. 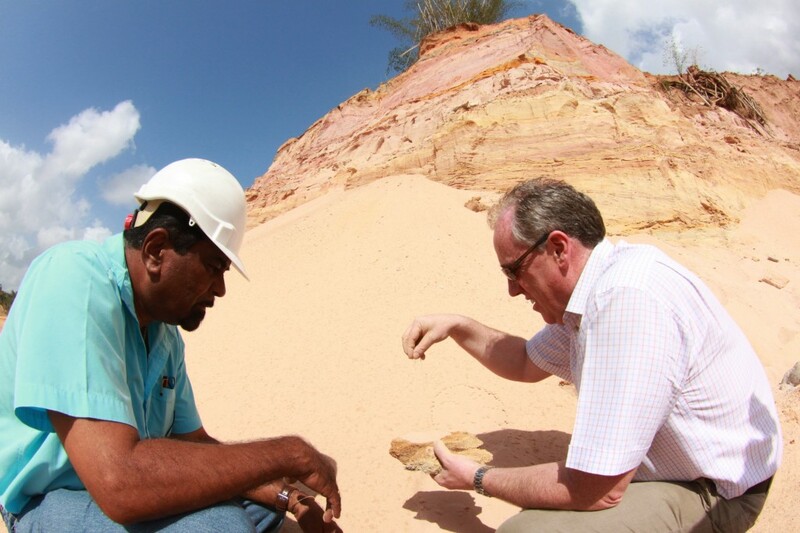 Invited by the EMBD, Mr. Convery recently visited Trinidad to examine the four quarries under the EMBD’s management. This is in an effort to assist the company in developing a comprehensive plan to maximize the natural resources of the quarries. It is the intention of the EMBD to manage the quarries in keeping with international best practice and in an environmentally friendly manner. The sand quarries are located at Todd’s Road, Windsor Park and Coco Road (the latter two in Claxton Bay) while the yellow stone quarry is in Guaracara. This entry was posted on Friday, March 19th, 2010 at 9:41 am and is filed under EMBD News. You can follow any responses to this entry through the RSS 2.0 feed. You can leave a response, or trackback from your own site.